Each time you visit a museum, you&apos;re bound to see something that you didn&apos;t before. Albany has a number of well-respected institutions where you can expand your knowledge on topics such as New York State history, geography, ancient Egypt, the suffrage movement, the human body, and more! Exhibits are constantly rotating in and out of Albany&apos;s museums. Here are some you won&apos;t want to miss. In honor of the centennial of woman&apos;s suffrage in New York, this exhibit will tell the story of the women who organized the Albany branch of the New York State Association Opposed to Woman Suffrage, their views, and their lost fight. Learn more. Albany Institute of History & Art, OngoingFor the first time, the AIHA will display nearly all ninety paintings from their vast collection of nineteenth-century American landscape paintings. The paintings, often associated with the term "Hudson River School," display America&apos;s scenic beauty from the rugged coasts to imposing mountains during decades of transformation, therefore revealing a visual history of the United States during the nineteenth-century. The Hudson River School paintings are among the Institute&apos;s most popular collections. Learn more. Did you know that the Irish were the first to propose the idea, design, and construction of the Erie Canal? Over the course of 300 years, approximately seven million Irish men and women immigrated to the United States, forever changing and impacting American life. As politicians, surveyors, engineers, contractors, laborers, and boatmen, the Irish were there from the Erie Canal&apos;s beginning to end. Learn more. Holy hoopskirt! Spurred by the popularity of PBS&apos;s new series, Victoria, the Albany Institute of History & Art is opening a new exhibit that focuses on the fashion of this spellbinding period. The featured costumes will include examples of garments worn in daily life and for life&apos;s special events, including several wedding gowns. You&apos;ll see an array of silhouettes and fabrics, which tell as much about femininity, and world politics as they do about fashion. Learn more. Albany Institute of History & Art, Ongoing until March 31, 2018. Portraits offer an interesting insight into the fashions and customs of the times they were painted. This exhibition is composed of fourteen paintings and four miniature portraits that highlight nineteenth-century fashion, as depicted by the portrait painters. Learn more. Magnetic Resonance Imaging (MRI) revolutionized the way doctors are able to diagnose patients. This interactive exhibit allows you to get inside a real MRI machine and see images of your insides. Museum guests are able to experience first-hand how MRI technology has transformed the health care field. 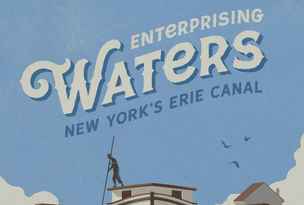 As one of the largest public works projects in American history, the Erie Canal inspired a nation-wide transportation revolution, unlocked the Western interior for trade and settlement, and helped the Hudson River to be the nation&apos;s most powerful center of international trade. In honor of the bicentennial celebration of the Canal&apos;s construction, the State Museum will display the story and history of the Erie Canal with unique objects, documents, and images. In early October, Donald "Babe" Hemlock and Carla Hemlock, Mohawks from the Kahnawake, will join the ranks of other esteemed artists as they receive the Excellence in Iroquois Arts Award. Babe, known for his cradleboard carving and painting, and Carla, known for her art quilts, will then have their work on display at the Iroquois Indian Museum.